Current research indicates that both men and women are equally likely to cheat on their partner, a statistic that used to favor men in the past. While adultery is no longer a deal breaker in many marriages, infidelity is one of the top cited reasons couples decide to get divorced. The APA also cited that 42 percent of divorced individuals reported more than one affair. In a Gallup poll, researchers noted that more than half (sixty-two percent) of partners say they would leave their spouse and get a divorce if they found out their spouse was having an affair; 31 percent would stick it out and not divorce. However in reality, Divorce Magazine notes that about 70 percent of couples actually stay together after an affair is discovered. Adultery is still one of the most cited reasons for divorce. According to a study published by the National Institutes of Health, one partner in 88 percent of couples studied cited infidelity as a major contributing factor. Interestly though, the vast majority of couples who divorced only had one partner share infidelity as a major issue. Statistics aren't favorable for remarrying the other significant partner after divorce either. In fairness, most second and third marriages fail regardless of why the first one ended. 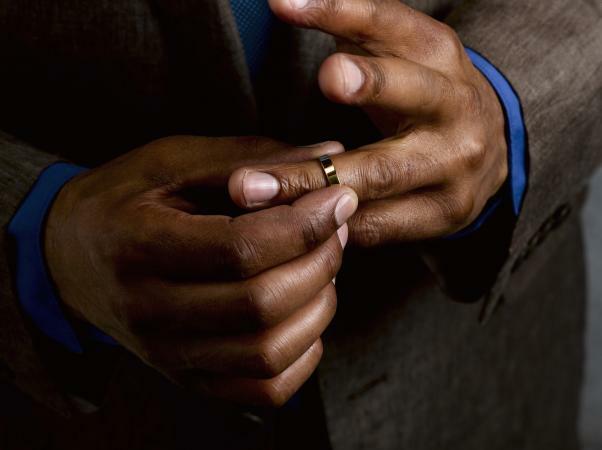 Men who cheat rarely divorce their wives and marry 'the other woman.' Dr. Jan Halper, in her book on successful men, noted that only three percent of men who engaged in extramarital affairs actually married their mistresses. What's worse, according to noted marriage counselor Frank Pittman, men who do marry their paramours, have a divorce rate as high as 75 percent. However, women are more likely to initiate divorce (for any reason) according to Psychology Today. Religion does not appear to have an effect on infidelity in couples who have been together for at least 12 years. Another study published in the Journal of Divorce and Remarriage indicated that for 21 percent of men, spirituality predicted their wellbeing after a divorce due to infidelity. A different study in the same journal noted that for 38 percent of women, spiritual well-being predicted divorce adjustment after spousal infidelity. While there are a variety of factors in any relationship that might lead a spouse to cheat, studies have found that financial instability can contirubte to adulterous behavior. American Sociological Association noted that 15 percent of men who are financially dependent on their spouse will cheat. The ASA also noted that young men are more likely to cheat if there is a financial earning discrepancy between him and his spouse and men are least likely to cheat if he earns at least 70 percent of the household income. Interestingly, the same holds true for women. The more a woman earns, the less likely she is to commit adultery. Beginning in 2004, adults 55 and older reported cheating at rates six percent higher compared to younger individuals. In 2016, 20 percent of older couples noted that they had cheated during their marriage, while 14 percent of couples under the age of 55 reported adultery in their marriage. Most people who cheat have been married for 20 to 30 years and are between the age of 50 and 60. By age 70 adultery tends to decline. People born between 1940 to 1959 show the highest rates of infidelity. People who are under 30 and over 70 were the less likely to divorce after an affair compared to those in their 50s and 60s. Cheating can leave both partners feeling confused, angry and grief stricken within a marriage. Divorce rates tend to be quite high after an affair has taken place with studies indicating about half ending in divorce with many partners noting a feeling of betrayal. If you or your partner have cheated, take time to think about whether ending the marriage or trying to preserve it is the best choice for both of you.